INTERN WITH A DIPLOMA: As of this past Sunday, Independent intern Ryan Neal completed majors in English and philosophy. 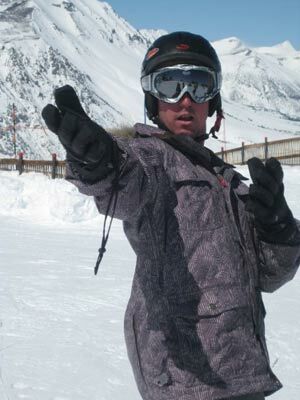 An avid snowboarder who counts James Joyce among his favorite authors, Neal described graduation as “bittersweet,” for although he felt glad to be done, he also noted the strangeness in some of his friends having already left town. But don’t feel too badly for him, because The Independent is making good use of his writing skills. And, really, an unpaid internship is all the friends a new college grad needs. Read Neal’s work at independent.com/ryanneal.